All throughout the week I come across wonderful websites, apps, music, and so much more. I want to share these with you since every item has improved my day in one way or another. You can look forward to weekly breakdowns of all my picks to be posted on Fridays. Hopefully, you’ll find something useful or at least entertaining to brighten your day. Here’s the top 5 for this week. One of my most frequently used apps, Gas Buddy, lets you search for the cheapest fuel prices. You can type in a specific city or zip code, or simply hit the “Find Gas Near Me” button and it will search the surrounding area. It allows you to sort by fuel grade, price, and even map/get GPS directions to the desired location. If you visit their full website you’ll find several other useful tools listing average gas prices by state and even a national map highlighting the highest and lowest prices across the country. They provide results for Canada, as well. This app is a great tool to get the best gas prices everyday and also when traveling. The exceptional artist, Cayce Zavaglia, considers herself a painter, yet she has mastered the art with an unexpected medium. 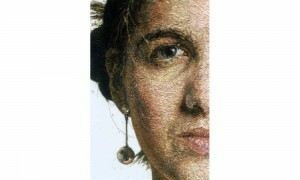 Not utilizing oils or acrylics, Zavaglia paints her masterpieces with thread. Her divine talent is embroidering portraits with striking realism. Visiting the website, you can view her work and click on the pieces for enlarged images of the extraordinary detail. Cayce Zavaglia is truly a brilliant artist and worth a quick trip to her site. It’s always enjoyable to wear jewelry that is sure to get noticed. Roscata on Etsy has taken fun to a whole new level with their handmade polymer clay creations. Everything from snow cone necklaces to a TV dinner brooch has been formed into meticulous miniature works of art. Some of my personal favorites are the Chinese Dim Sum in Bamboo Steamer Necklace, the Cup of Tea with Lemon and Jelly Cookie Cocktail Ring, and Whole Roasted Coffee Bean Earrings. Roscata is the perfect place to find a quirky gift for the foodie in your life, or look for something to brighten up your own outfit. They are sure to make you smile and be an entertaining conversation piece. 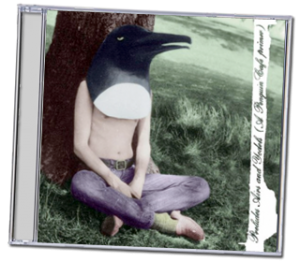 Penguin Cafe Orchestra is an exceptional musical group from England. Their work has been featured in numerous commercials and provides a great backdrop for a productive work environment. Generally, when I need to stay focused I avoid music with lyrics. For me personally it’s a little too distracting; I find myself singing along rather than concentrating on the task at hand. The Penguin Cafe Orchestra is instrumental yet upbeat. My favorite album at the moment is Preludes Airs and Yodels featuring Perpetuum Mobile which is available through Penguin Cafe Orchestra’s website or Amazon. This is not a new album and the group has been around for years, but I still find it motivating and refreshing during a long day hunched over the computer.